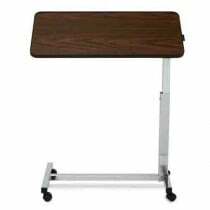 Overbed tables are nearly essential for those who spend a majority of their time in bed. 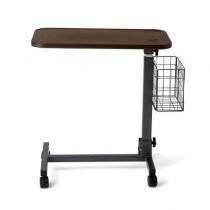 For those who are immobile or in need long-term bed rest, an overbed table assists one when it comes to having meals, reading, or needing any hard surface to accomplish daily tasks. 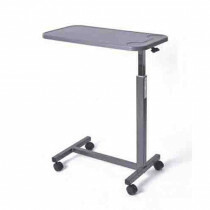 Overbed tables of various sizes and area coverage is offered on Vitality Medical. For those looking to invest, look to the dimensions that the manufacturer gives, and look to see how it is attached to the bed. Overbed tables are either rolled and locked to stay place, or they are physically secured to the frame. 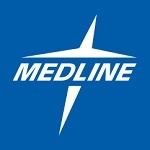 For most hospital bed frames, overbed tables need to be secured to the frame for better stability and possibly to maneuver around siderails if they are installed. 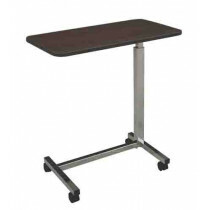 Vitality Medical has all these variations of overbed tables for sale to fit the needs of just about everybody.